This week has been getting significantly colder. But during the day… the sun will come out! 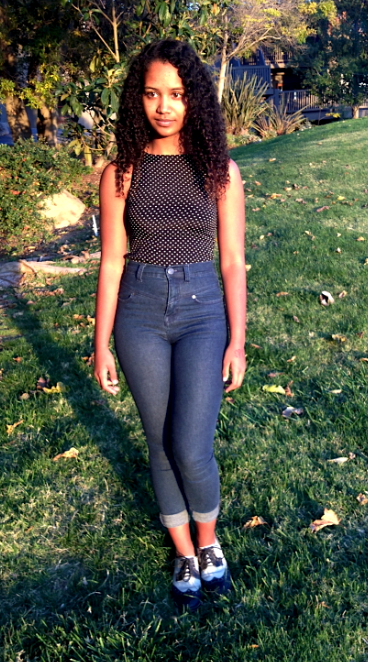 This was an outfit I put together in hope that the sun would shine all day long; and I am proud to say it did! It started of cold, but hey this is Ojai. Therefore, around 9:00 the sun started to shine and the crisp air started to heat up. This was an outfit that actually adapted really well with the weather. 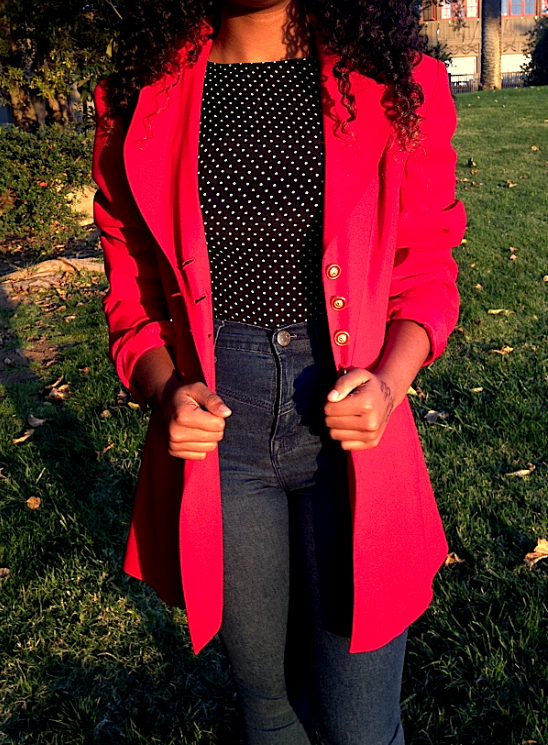 The high waisted jeans were perfect for the cold weather, and the red blazer shined under the sunlight as well as complimenting the polka dot crop top. Whenever I wear polka dots, I love to pair it with red. It gives the outfit a cute, chic, but very old classic kind of a feel. I’m very big into high the waist movement. I own multiple high waisted shorts, skirts, and jeans. A-line high waisted skirts are my favorite because they look flattering on everyone and accentuate the waist. This is one of the many reasons I enjoy everything high waisted. One of my favorite features to accentuate is my waist. So in this outfit chose high waisted jeans to accommodate the weather, but still make me feel comfortable and fashionable all day long. One of my favorite things to pair with outfits is a colored blazer. I went with red with this outfit because red works very well with white and black color blocking. Although in this outfit I’m wearing a polka dot shirt, nothing compliments it more then red. Whether you were red lipstick, shoes, accessories, or even just a headband! Red is the perfect chose to complete a white and black ensemble. 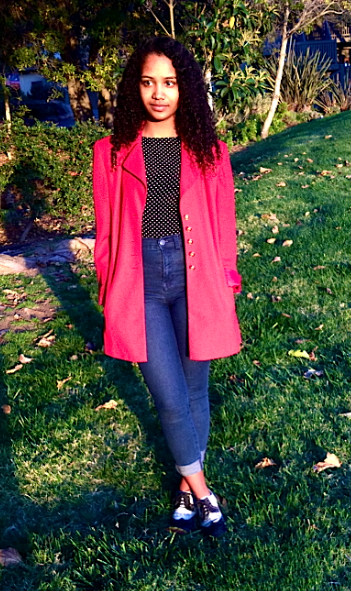 A red blazer is a must have and something that can fit in anyones wardrobe. It adds to any plain old black dress for a fancy night out, or even to your every day school outfit! Part of the reason that I chose these shoes was that they added to the classic feel of my outfit; but I mainly chose them because I love them! They’re so comfortable and they add to every outfit I wear. Like I’ve said, I’m that one kid who carries vintage briefcases, so these shoes complete all my outfits. I rolled up the bottom of the jeans to show off the shoes even more, and to tie the shoes into my outfit. 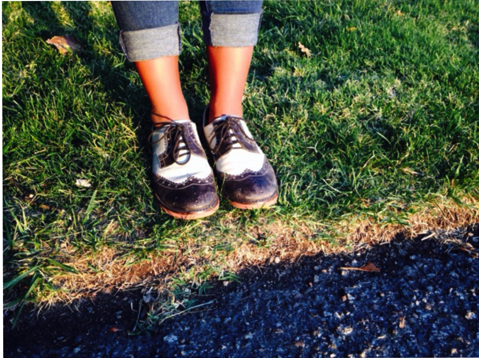 Folding up the ankles of your jeans is always a great way to incorporate oxford like shoes into your outfit of choice. 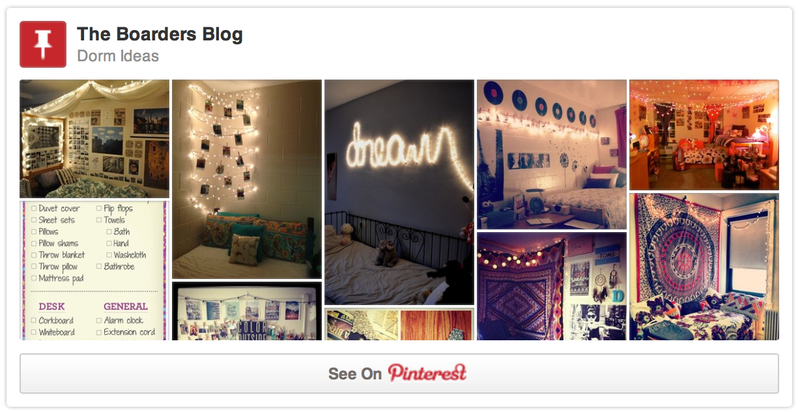 Follow The Boarders Blog’s board Dorm Ideas on Pinterest. 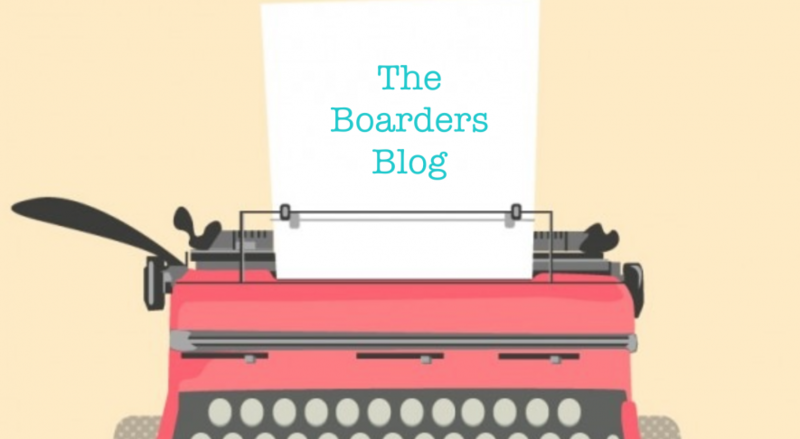 Please leaves us any comments, questions, or suggestions for other articles!